JP Morgan Chase is merging its payments operations for SMEs and its institutional payments platform into a single division, as a result of the new players in the payment landscape. The bank is combining Chase Merchant Services with the Treasury Services division of its Corporate and Investment Bank, as revealed by an internal memo sent to staff last week, according to the FT. 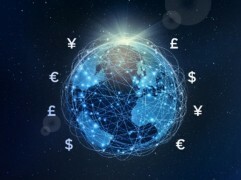 The memo said that this new division would now include the firm’s Trade Finance and Commercial Card businesses, and will seek partnerships with digital payment companies to expand in the US and internationally. Takis Georgakopoulos will be the new head of this new Wholesale Payments unit. Currently, Georgakopoulos heads Treasury Services, reporting to both investment bank boss Daniel Pinto and consumer bank boss Gordon Smith. Matt Kane, head of Chase Merchant Services, will now report to Georgakopoulos. Despite the changes, the bank’s payments division is still doing well, with JP Morgan’s Treasury Services showing revenues up 13% year-on-year. In fact, on the topic of payments, JP Morgan has helped TransferWise’s business take off.